Hello fellas! I’m back with the new Colourful Harajuku – The Ground Zero for the Hang-Outers in Tokyo – part three. 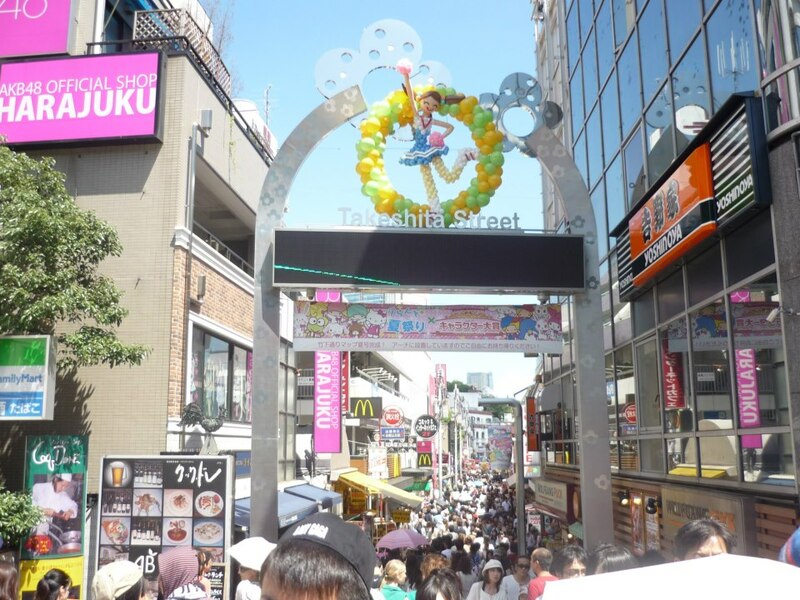 This is the newest post of this series and this time we’re going to the very heart of Harajuku, which is Takeshita Doori! Before we start, I’d like to deliver my biggest apology for all the readers of Japanesense because on the last Friday and Monday I didn’t post any article at all. I was occupied with the college things, there was a final exam for one of my subjects, however, here I am now back with my newest article! Anyway, most of you must have ever heard or seen this place before, since it’s pretty famous, but let’s explore this place one more time with me since this place; just like the other places in Tokyo; is always a changing. There are always new things here and there and that what make this place become a merry and exciting place to come by. In the last post I went to the Meiji Shrine that is located near the heart of Harajuku, so from the Meiji Shrine, we just have to cross the street to feel the hilarity of Harajuku. After I crossed the street I found a crowd of young girls were queuing in front of a building. Looked like there would be celebrities from Johnny’s agency who would come. 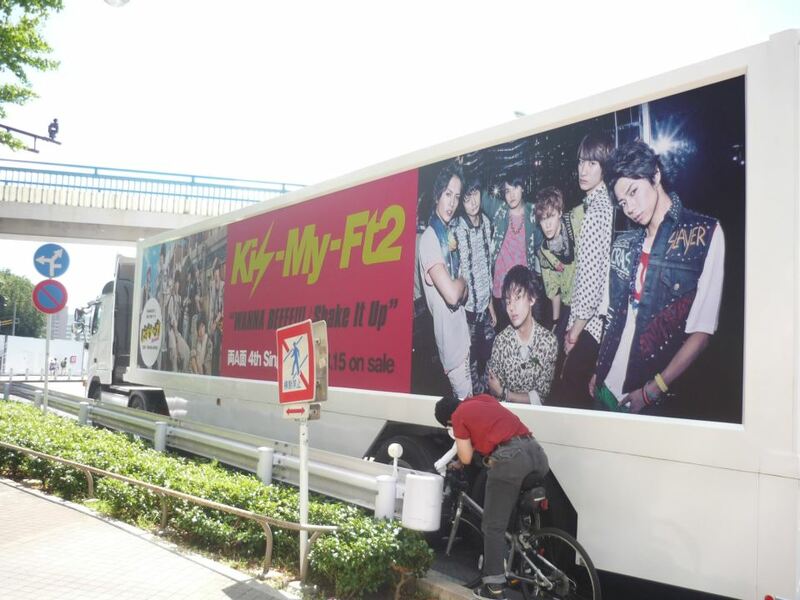 On the street I also found a truck with a promotion picture of one of the groups from Johnny’s, which is kiss-my-Ft2. Since I was there in the middle of the day my stomach started to sound and I know that is a signal to grab some good meals and fortunately there are lots of restaurants in Harajuku! However, in my case, before I went to Harajuku I had decided where to have the lunch and this was my choice for the day..
A bowl of Ramen!!! So what can you tell from the picture? 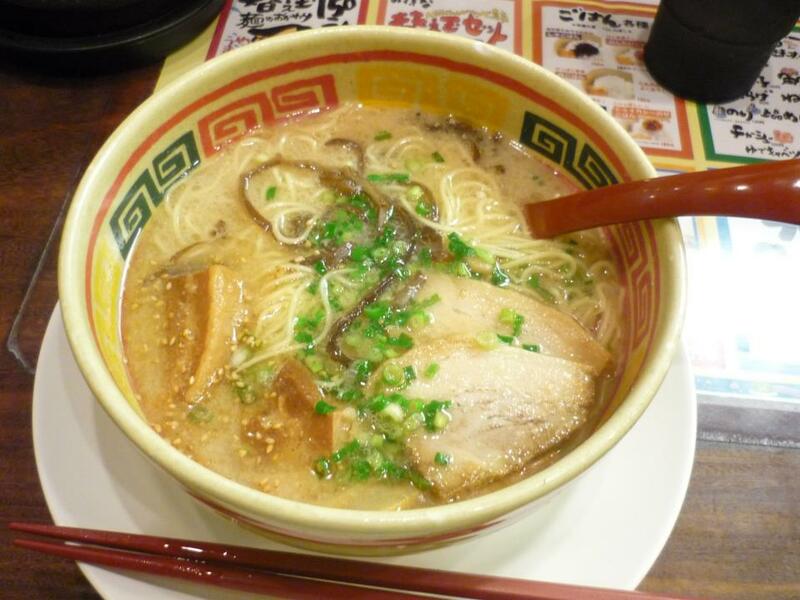 Just want you to know that this is the greatest ramen that I had in Japan!!! There were some types of meats (chasu or roast pork) and all of them were so soft, the noodles were so thin; so easy to eat, and the soup was the best; not too thick but strong in taste! The delicacy of this ramen made me wanted to have it as slowly as I could possibly do, enjoying every bit taste of this one. So where did I get my hands on this amazing ramen? The answer is at Kyushu Jangara!!! I bet for most of the people who don’t have any idea about what is Kyushu Jangara they won’t ever think than the greatest delicacy of ramen lies inside this tiny place. It is located on the second floor, above a clothing store. The front look of the restaurant itself is not really attractive, I almost missed this place as well if my girlfriend didn’t notice it. But still, I really recommend you guys who are going to go to Harajuku to have lunch or dinner or whatever in here!!! 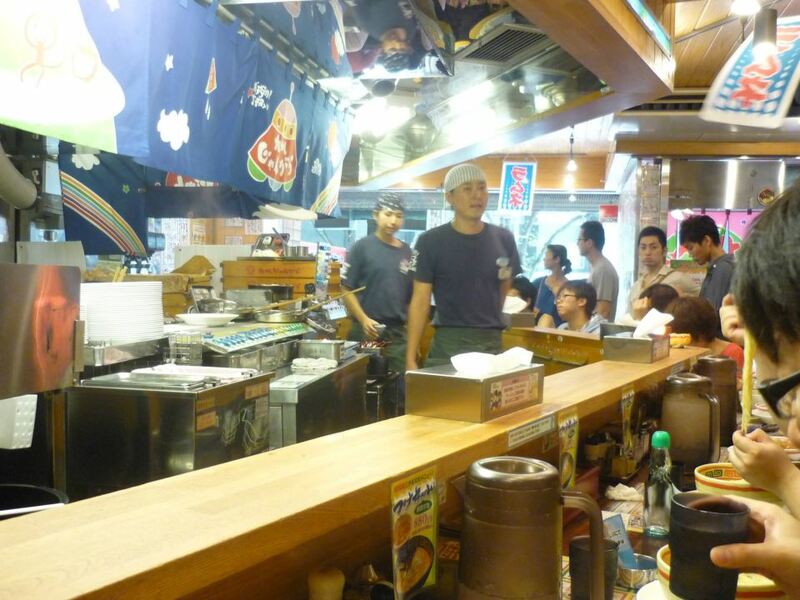 Inside, the room is a small one but compared to the other ramen shops this one bigger than usual. To order the ramen, I had to choose the menu ( there is an English menu) then buy a coupon first at the cashier. Usually this place would be full, especially in the lunch time, and you have to wait for an empty seat first but it won’t take a long time since all of the staffs working here are always as fast and as full-spirit as usual. Oh yeah, in most of the restaurant in Japan, they will give you white water as a free drink and don’t forget to thanks the staff for making a great ramen for us after we finish our meals by saying “gochisousamadeshita!”. For the conclusion, I really recommend this place for you who seek a delicious ramen. 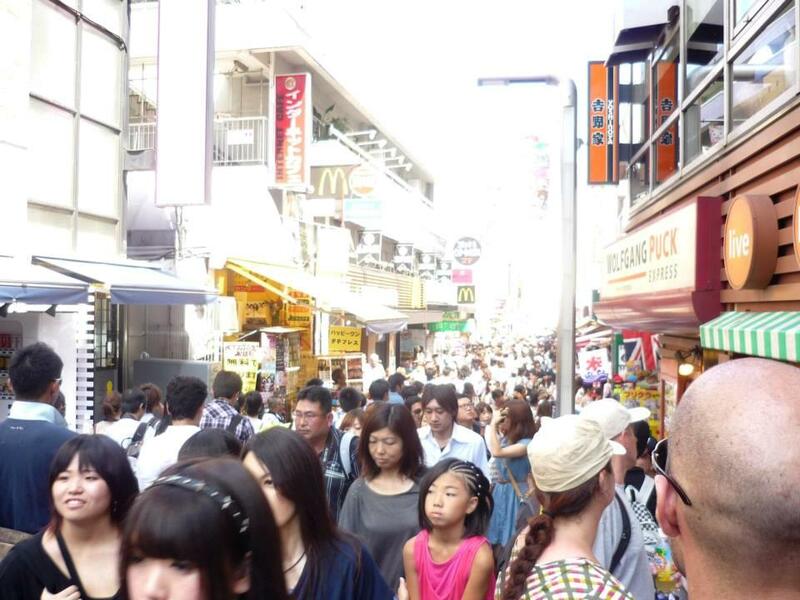 After my energy had been supplied, I continue on my journey to explore the Harajuku. On my way to the centre of Pop Culture in Harajuku, Takeshita Doori, I found one of the trademark buildings in Harajuku.. This place is what you guys know as Harajuku Station. What is unique is the design of the station itself, in my opinion. Though the image of Harajuku is always modern and colourful, the design of the Harajuku Station is quite old-fashioned or better to say classic. Maybe the government keep the design of the station in that way in this ever-changing area of Harajuku. 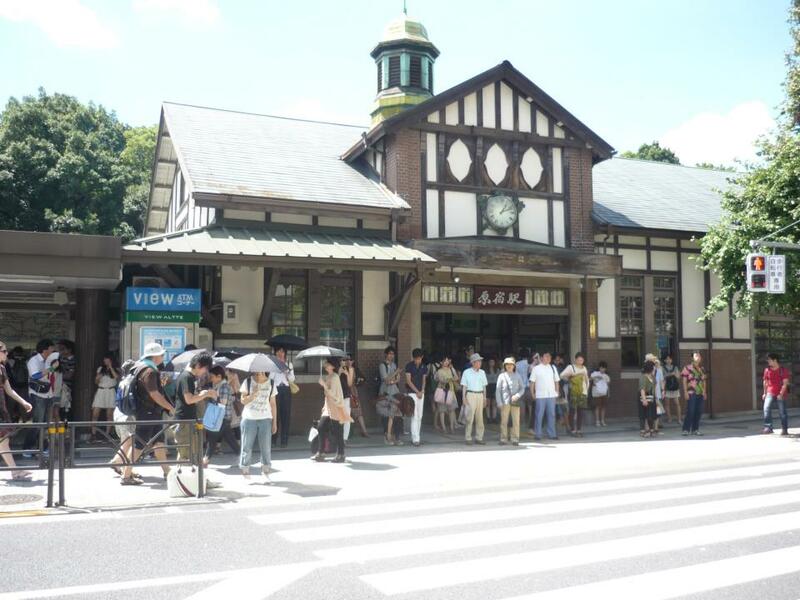 The station itself is always packed with people, especially on Sunday, since it is located right in front of Takeshita Doori the centre of crowd in Harajuku. Finally, I arrived in my destination, the Takeshita Doori. Can you see that the street was like a sea of people? Yeah, this is the thing that make this small street become so famous. Lots of youngster come here everyday and there always more on Sunday. Since I was there in the mid year holiday or what Japanese knows as Summer Holiday, I didn’t expect this place to be quieter from the start. Moreover, I came there on Sunday, so no wonder there were that many people. However, I decided to go to this place intentionally on Sunday because I expected this crowd, that crowd of trendy youngsters that filled this place is the very thing that attract me and it is the main thing that I want to see..
Oh yeah, as a side note, that sign of Takeshita Street is a new one. The old sign was a green one and it was replaced in March this year. This new sign of Takeshita Street displays a digital clock. 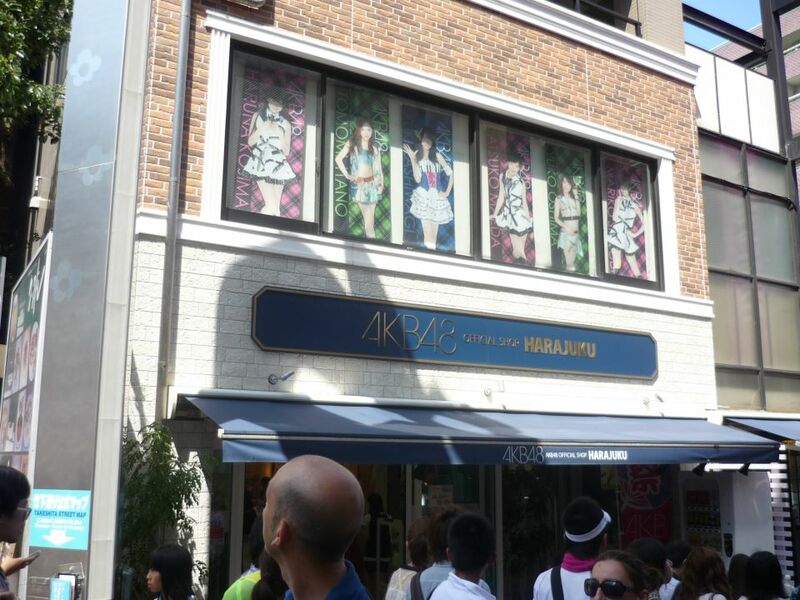 Special info for all AKB 48 lovers! On Takeshita Doori there is also an AKB 48 official shop where you can get your hands on the original AKB 48 stuffs, such as posters, post cards, card game, photo books, handphone strips, and all of the other items that you will ever need to be a true AKB fan. Don’t forget that before you can have your desirable items, you still have to go through the pack of other AKB fans who have a similar objective with you..
For those who’s still not familiar with this street then let me introduce it to you guys. 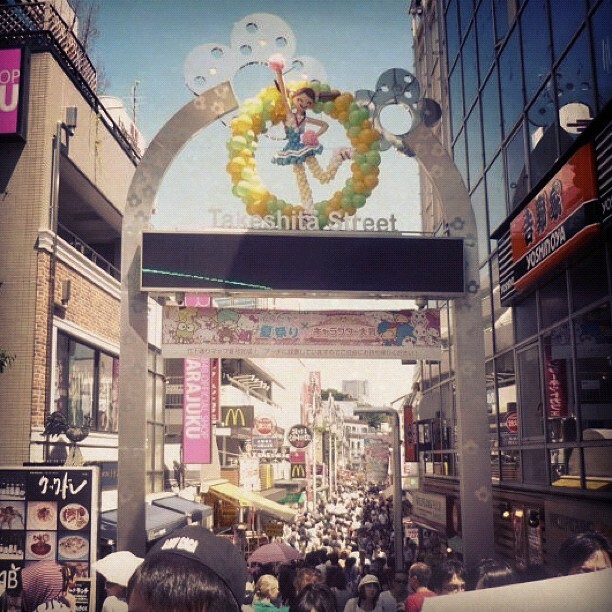 This street is called Takeshita Doori (Takeshita Street) and this is a pedestrian-only street lined with fashion boutiques, cafes, and restaurants. 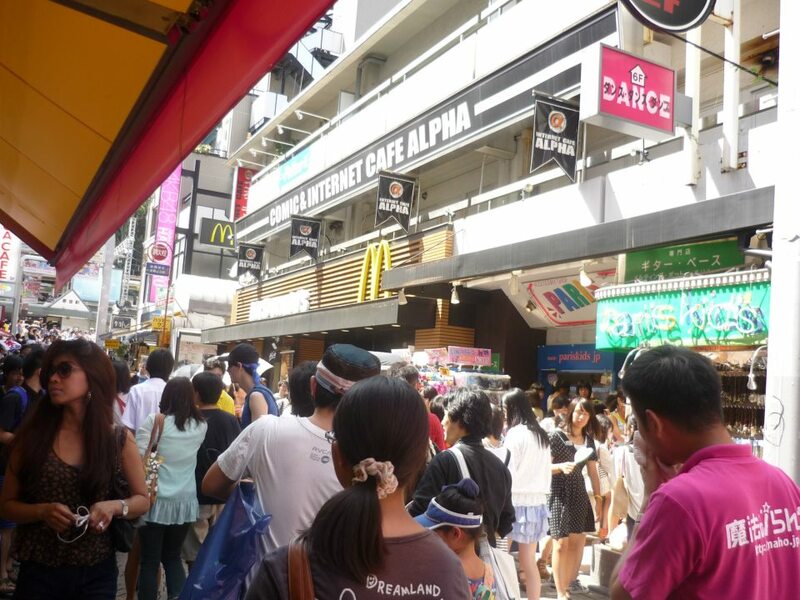 Stores on Takeshita Street including some major chains, such as Mc Donald’s, Body Shop, Seven Eleven, and yoshinoya, however, most of the stores here are small independent clothing stores that offer bargaining prizes. Since the popularity of this street as the hang-out place for cool youngster, this street is always be one of the major places for the talent or model agencies to look for their models. For those who love to take pictures in photo booth or purikura, then Harajuku is the right place for you since there are some purikura spots here and there on this street where they have various machines with distinct effects. 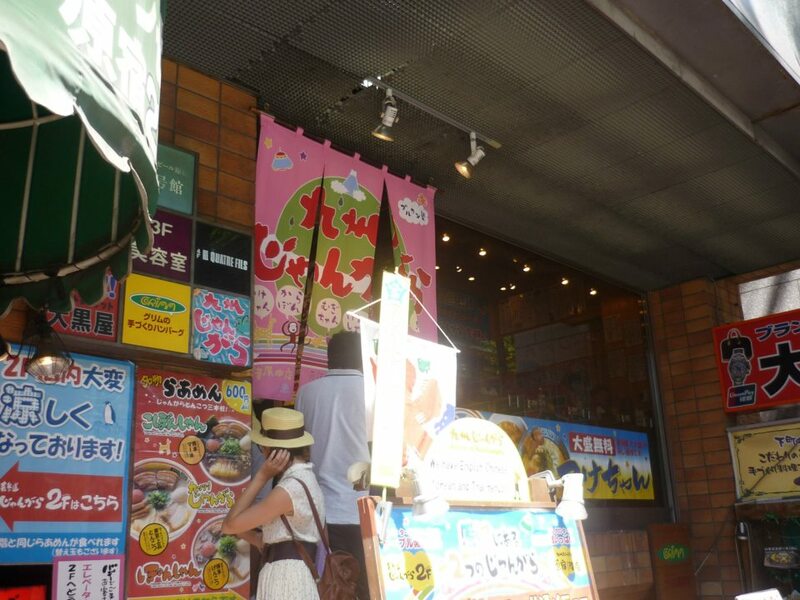 At the time I was there, the sun was shinning brightly, so forgive me for the quality of the pictures that are too bright..
Maybe this crepes stand looks just like a normal crepes stand, however, it is not since this Marion Crepes is a legendary crepes stand in Takeshita Doori! 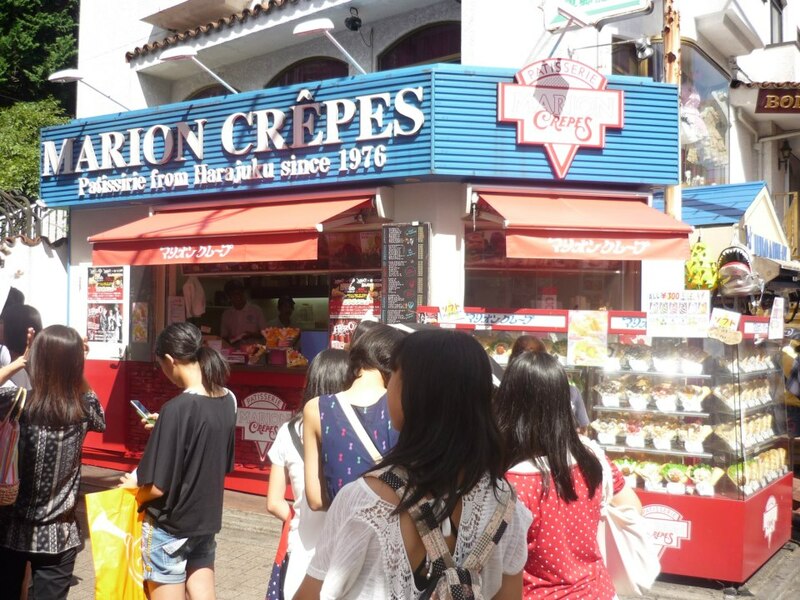 Marion Crepes is the first crepes stand in Takeshita Doori. Here, there’s a wide variety of crepes you can buy, over 80 type of crepes on the menu. Buying this Marion Crepes is really recommended when you are around the neighbourhood, unfortunately, because I just had a bowl of Kyushu Jangara I couldn’t fill my stomach with this delicious crepes, too bad..
Last but not least, on the end of Takeshita Doori, I found those two people who caught my attention because of the noise they made. Those two guys were saying “Rasshai Rasshai! Wego Wego! Rasshai Rasshai! Sou sou iiyo!” continuously with loud voices. This kind of thing is a typical Japanese style to promote something which is funny. Some of other pedestrians even took their pictures, maybe because that guys are also cool I guess. So what was the thing they were promoting? 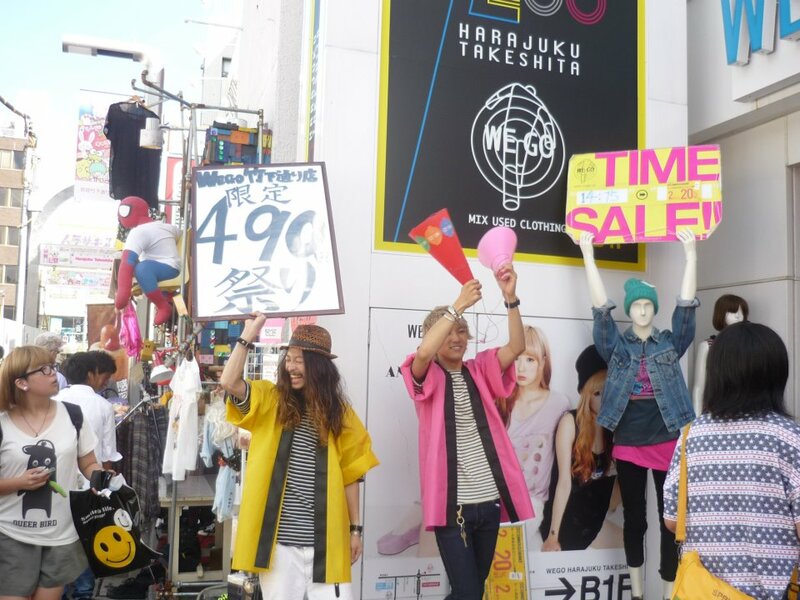 Turns out that they were promoting a store beside them which is WEGO! 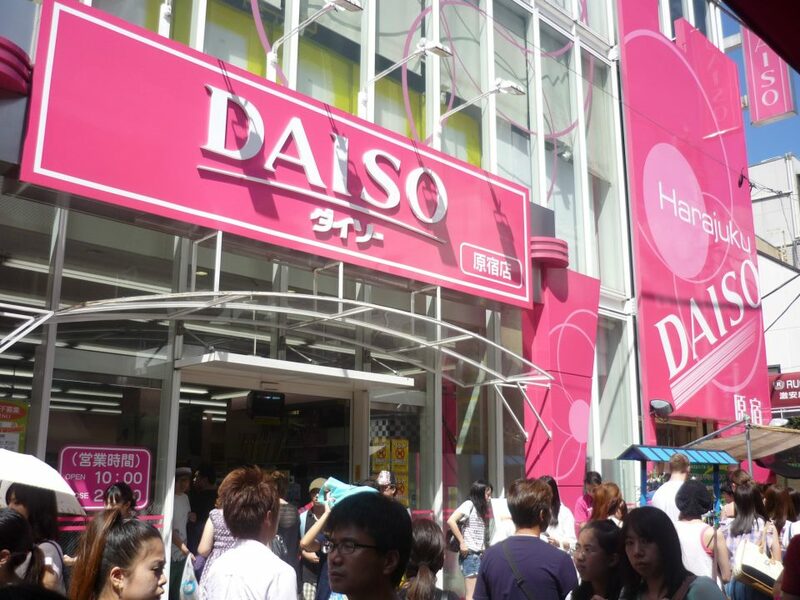 For you who come to the Takeshita Doori for a fashion quest, then you are lucky. 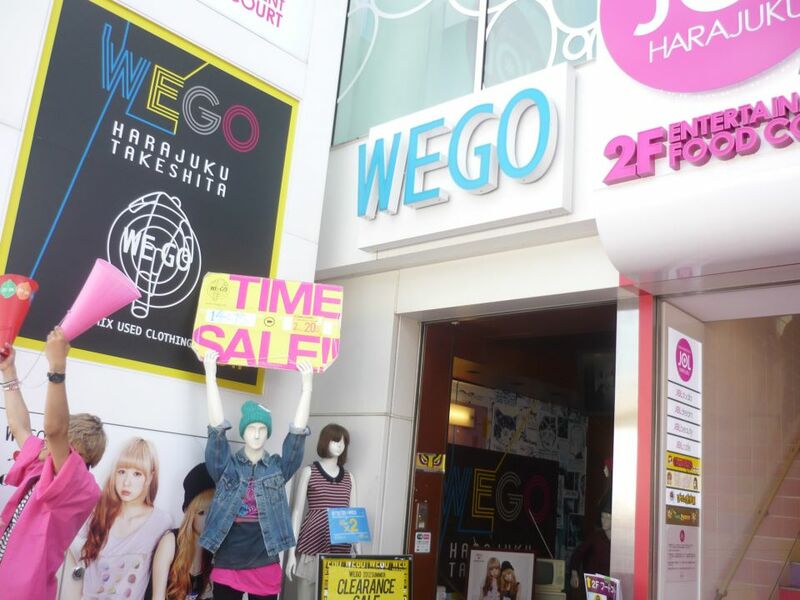 WEGO is a store where a low-price clothes and second-hand clothes are sold in here! This store is included in my shopping destinations list in Tokyo. The place is really funky though, when I was there the light of the store was a bit dim and they played some of the famous songs of anime, such as Sailor Moon theme song and then one of the songs from City Hunter in a fast beat. Lucky me, when I was there, since it was in the middle of the Summer; WEGO offer a high clearance sale for the Summer items. Yosha! This place marks the end of the Takeshita Doori that leads back to the main street of Harajuku. Ok then, I guess I’ve written half of my day in Harajuku until this point. Just want to let you know that there are still plenty of cool places around this area. I will tell the rest of my day in Harajuku on the next posts so stay put!